Methods used for assessing economic impacts of proposed transportation projects have continually evolved over time. Whereas they once focused largely on the economic benefit of time and cost savings for travelers, they may now encompass broader factors such as accessibility roles in supply chains, labor market expansion, global trade growth, and their economic development implications. This broader view can be particularly important when considering transportation projects affecting network connectivity and activities of logistics centers, inter-modal terminals, and international gateway facilities. Using examples throughout history, a generalized description is developed of the range of access, reliability, quality and cost factors that can affect the nature of economic growth impacts of transportation projects. 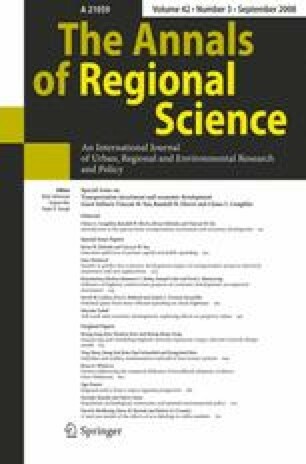 While the set of factors is consistent with both theory and research findings, there has been a significant shortfall in their coverage by applied computer analysis models used for transportation decision-making. This article critically examines the coverage of access impacts by various types of predictive economic impact models, and then describes new directions in applied models to assess transportation projects impacts on business productivity, growth and attraction. Finally, it outlines an analysis framework that is designed to facilitate use of improved modeling methods for assessing economic impacts of multi-modal transportation investment.